With up to four slots for PCI or PCIe cards, the new industry PC series MVP-60xx from acceed is a high-performance and cost-efficient solution for all areas of industrial manufacturing, machine vision and automation. 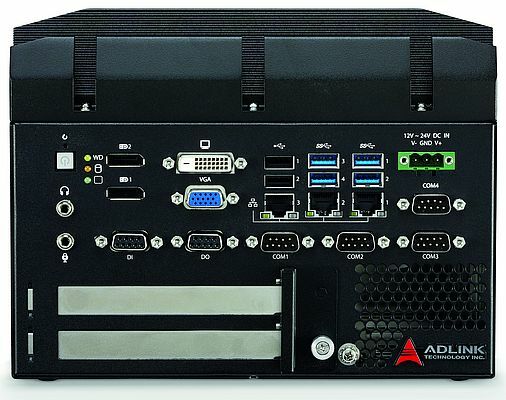 The plug-in cards (1 x PCIe x16 and 3 x PCI or 2 x PCIe x16 and 2 x PCI) in the compact casing, which are accessible from the front, enable application-specific extensions of the function, for example for drive controls, visual quality control or further specific tasks. The individual MVP-6011 to MVP-6025 series models are equipped with various 6th generation Intel core processors in order to provide the optimum performance for the planned applications. Likewise, the arrangement of the slots for various PCI and PCIe plug-in cards is variable. With the exception of the four slots, all the other integrated interfaces are accessible from the front side. Therefore, the compact controller with the dimensions 220 (W) x 210 (D) x 209 mm (H) is ideal for installation in switch boxes or machine frames. The resilient construction of the fanless casing is designed for use in harsh industrial environments.